You won't believe your eyes or your ears! 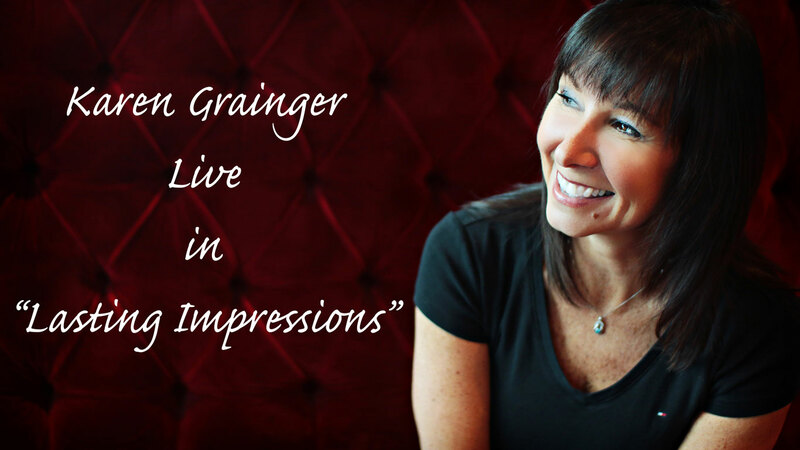 Karen Grainger is excited to be back with her amazing show 'Lasting Impressions' featuring new voices and exciting costumes. 'Lasting Impressions' is a fast-paced extravaganza filled with vocal and visual illusions! Karen will take you on a journey from today's new voices such as Lady Gaga, Katy Perry and Pink, all the way back to Barbra Streisand and Willie Nelson. See a short preview here! Your favourite characters will still be there: Shania Twain, Cher and Celine Dion, as well as her signature duet featuring Michael McDonald and Patti LaBelle. It is jam-packed with entertainment value! 'Lasting Impressions' can be seen with as little as just Karen and her wonderful backing tracks, microphone and table of props OR with a live band. Enjoy a preview of Karen's Simply Celine show.